Although my trip to this cosmopolitan metropolis was a couple of years ago now, it was an unforgettable experience. It is the only city in the world to spill over two continents, forming a bridge between Europe and the Middle East. It is also home to a community which is as colourful as its history. Having hosted a vast range of realms over almost sixteen tumultuous centuries, from the Byzantine to the Ottoman and the Latin to the Roman, it has witnessed an unbroken chain of conflict, conquering and transformation. And with just as many names, (New Rome, Constantinople, Byzantium, Istanbul…) the city’s true identity is somewhat ambiguous, lost in history. If the walls of this metropolis could talk, they would reveal knowledge and secrets no history book could ever tell you. Whilst the current capital Ankara made attempts to steal the spotlight, in this city lie the cultural roots of Turkey. Much of my trip was spent getting lost in the maze-like network of indoor souks, bartering for gold goods and ceramic lamps, and being called “Beyonce”, “Shakira” and “Spice Girls” by Turkish men in the Spice Bazaar (our blonde hair and British accents seemed to attract a lot of attention). I loved the eclectic mix of architecture, ranging from the ancient Walls of Constantinople to Byzantine churches and Ottoman mosques. 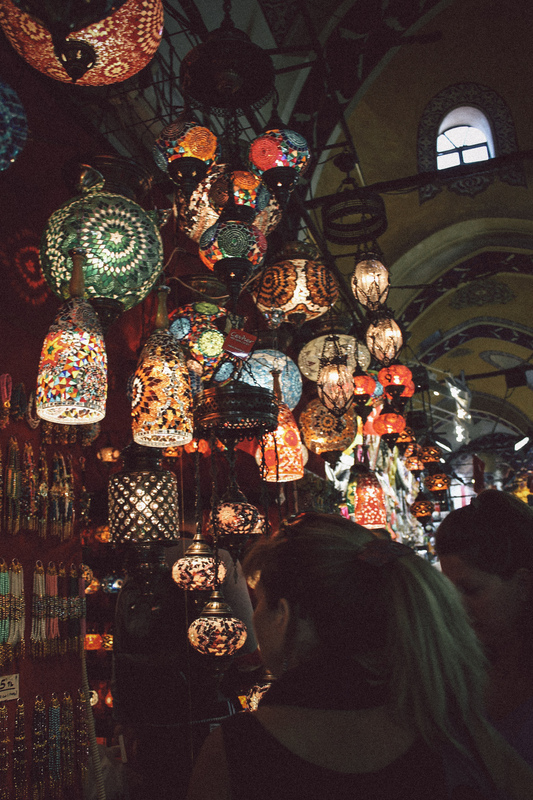 I would say a week is enough time to discover the main attractions of Istanbul, but I still feel like I have only just scratched the surface of this mesmerising metropolis, a melting pot of cultures and ethnicities. 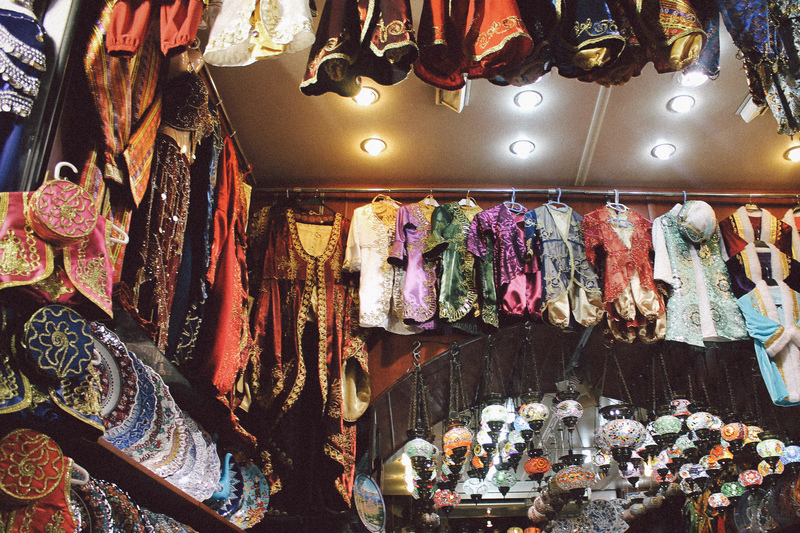 A labyrinth of indoor souks and an attack on the senses, this is the place to discover the richest of goods in Istanbul. I came home with a beautiful red Turkish lamp (which sits on my desk at uni), a pack of over 10 different spices, some little ceramic bowls and stacks of gold bracelets and rings that were so cheap I felt like I was stealing. 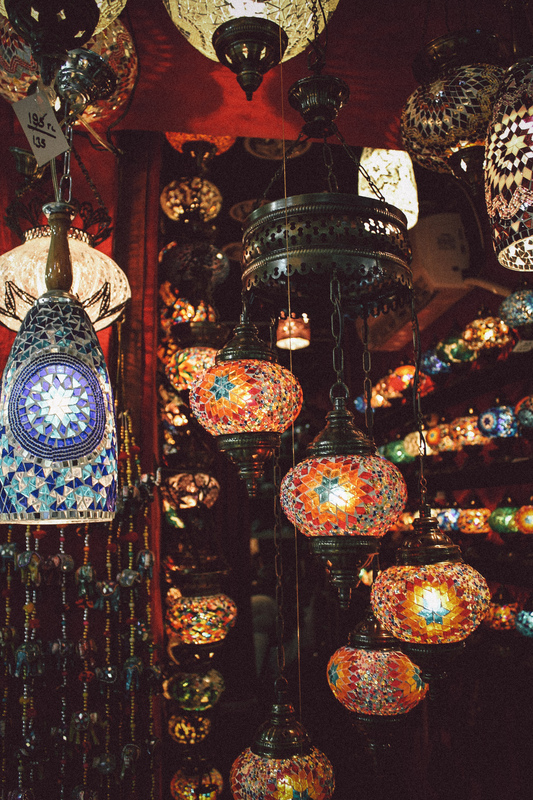 Stock up on all sorts of Turkish treats and boast your best bartering skills. I came home with rose and lemon turkish delight and some pomegranate tea (although the apple tea was delicious too). Stroll along the long, undercover aisle lined with mountains of eye-popping spices and baskets of fragrant dried flowers. Emerge back into the daylight, your eyes stunned by the glistening Bosphorus River in front of you. Right next door to the Spice Bazaar is the Yeni Cami, or New Mosque, crouching under its cluster of domes upon domes upon domes. Climb the stone steps up into the large open courtyard, where you can take a moment to sit under the domed peristyle and feel the cool stone beneath you. There is even an ornamental fountain where you can splash yourself with fresh water to cool you down after haggling in the market. The most famous mosque in Istanbul, this colossal structure should definitely be at the top of your list. The ornate Ottoman architecture is simply awe-inspiring, both inside and out. It has become popularly known as the Blue Mosque, owing to the Iznik blue ceramic tiles that line the interior of the domed building. Visit between the calls to prayer, which echo out eerily over the city from the mosque’s minarets six times a day. The mosque is free to enter, however you must remove your shoes and cover your hair (women) and, of course, be respectful once inside the place of worship. Pssst… Girls, I would advise you to wear trousers when visiting the Blue Mosque, unless you want to sport a rather unfashionable blue piece of fabric wrapped around your legs. Take the ferry across the Bosphorus River to the Asian side of Istanbul. It’s an experience like no other, as you leave the shores of Europe behind you and propel towards the green hills of Asia.